Christopher Nolland - Mediator based in Dallas, Texas. Please click your preferred available date to submit a request. Your Appointment Form will be sent to Christopher's assistant, Kristy H. Thompson. After law school, Chris Nolland served as an appellate law clerk and thereafter practiced law in New York City and Dallas, Texas. He was a partner in a well-known national business litigation firm. His experience as a lawyer is in business litigation including contracts, franchise law, securities, intellectual property, partnerships, corporations, joint ventures, construction law, real estate, bankruptcy and insolvency litigation, banking and lender liability, and other complex business litigation, as well as significant probate, trust and estate litigation. In 1993, Mr. Nolland began his own practice with an emphasis on complex business and commercial disputes, bankruptcy and debtor/creditor related matters and with an additional focus on the development of a mediation/arbitration practice. Since that time, Mr. Nolland has mediated or arbitrated over 2,400 cases and has earned a reputation as the "go to" guy for the resolution of complex disputes. In the last 15 years, he has also developed a practice in which he acts as special negotiation/settlement counsel to other law firms and clients in significant litigation matters. His current practice is divided roughly equally between acting as a neutral mediator/arbitrator and as non-neutral settlement counsel in complex, high stakes litigation. His practice both as a mediator/arbitrator and as special settlement counsel is national in scope. Since 1997, Mr. Nolland has been an Adjunct Professor at Southern Methodist University s Dedman School of Law, teaching a course in Negotiation to second and third-year law students. He is a frequent speaker at ADR programs and training courses and has been profiled in legal and business publications. In 2003, 2005, 2007, 2008, and 2010 – 2018 (all years the list has been published), Mr. Nolland was named by D Magazine as one of the Best Lawyers in Dallas; and in all years from 2003 - 2018 Texas Monthly selected him as a Texas Super Lawyer based upon the votes of his peers. He has also been selected by The Best Lawyers in America for all years from 2008 - 2018, and is ranked as a first tier mediator for 2013- 2018 by U.S. News and World Report. Mr. Nolland is one of only 5 Texas mediator finalists statewide for the 2012 Go-To Lawyers Guide published by Texas Lawyer every five years and in 2016 he was selected for its Lifetime Achievement Award. He was named a 2016 National ADR Champion by The National Law Journal. In 2016, Mr. Nolland was the recipient of the Steve Brutché Award from the national Association of Attorney Mediators (it’s highest honor). 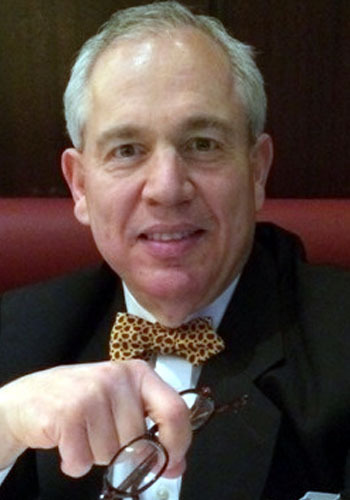 In 2018, he received the Justice Frank Evans Award from the ADR Section of the State Bar of Texas for excellence in the field of Alternative Dispute Resolution. He was named by Chambers as a leading Nationwide Mediator in 2017 and 2018.